Are you missing several or all of your teeth and would like to restore your natural smile? Modern dentures are lighter, more comfortable and stronger than the dentures of the past, and they are custom-made to fit your mouth, allowing you to chew, speak and smile naturally. Whether you need a full or partial set of dentures to fill in a gap left by missing teeth, we have dentures that will provide the best outcome for you. Full dentures are used when you are missing all the teeth on your upper or lower jaw. 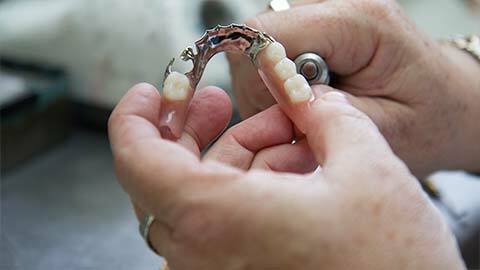 There are several options for fitting full dentures, from implant-mounted dentures to plates. All our full dentures are designed to fit comfortably in your mouth, allowing you to leave them in while you eat and enjoy your regular activities. If you are a missing a single tooth or several adjacent teeth in a row, a partial denture can provide you with an attractive replacement. Partial dentures are made of one or more artificial teeth affixed to a denture plate. The teeth are shaped and coloured to match your existing natural teeth. As you grow older, your mouth and gums can change shape. To ensure that your dentures continue to fit you comfortably, they may require adjustments or modifications. Dentures can also become discoloured or damaged over time and they may need to be cleaned or repaired. 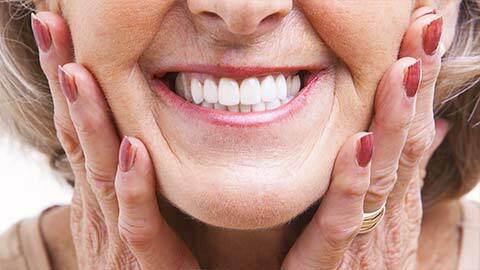 We offer denture care services to keep your dentures comfortable and attractive. If you'd like to learn more about how dentures can bring back your smile, give us a call today.